A BANNED Queensland greyhound trainer told the sport's governing body she didn't blow the whistle on live-baiting because she was afraid of being killed in retaliation, court documents reveal. Deborah Arnold made the claims during an extensive hearing before the Racing Queensland Licensing Committee the day after Four Corners aired footage of possums and piglets being used as live bait. During the interview Ms Arnold, who featured in the television program, admitted to witnessing live baiting on Tom Noble's Churchable property, where some of footage was filmed. Mr Noble is fighting charges of serious animal cruelty levelled against him as a result and was released on bail a month ago. 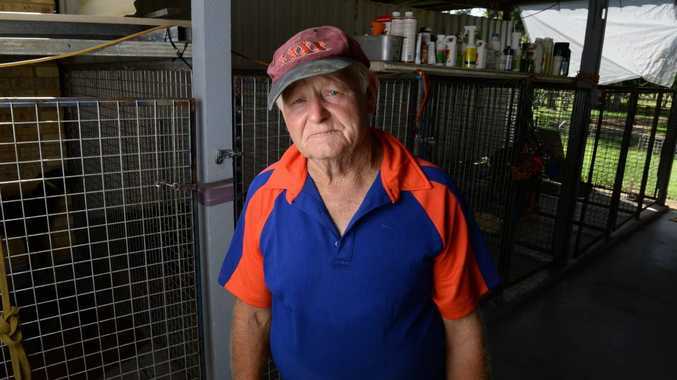 After initially Ms Arnold denying taking part in live baiting, the former United Queensland Greyhounds Association president admitted she had live-baited a dog but only "once".